Locating Someone in Michigan call ASG Investigations today. Locating someone isn’t always an easy task. You may need a private investigator to help you when locating someone. There are many reasons why you may need to locate someone in or from Michigan and as Michigan private investigators, our job is to find their current address and information for you. Note: Circumstance means a great deal to us and this is particularly true when it comes to locating someone. If you are working with an attorney and need someone found in Michigan, we recommend that you have your attorney contact us directly. If not, please call one of our investigators to discuss you case. In many situations, once we locate the subject, we contact them and ask that they call you. This is done for the safety of everyone involved. We are not a “Super People Finder Instant Mega Search” database company that gives you old, outdated public record information. We are Michigan licensed private investigators specializing in finding people, quickly and cost effectively in Michigan and elsewhere. We have access to data, sources and other specialists that allow us to get you the result you want, not excuses. We not only find your subject’s address, when ever possible we also provide you with a current telephone number. Why pay someone to find information you already have? 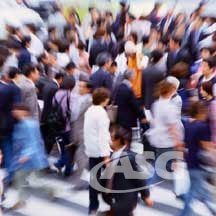 When you work with ASG, the more information you have about the subject, the less it will cost you. Our basic Michigan locate investigations start at as little as $75 per hour and less than 80% require more than 3 hours worth of work to get the job done. We encourage you to call us today and speak with one of our Michigan private investigators for a free, confidential consultation.